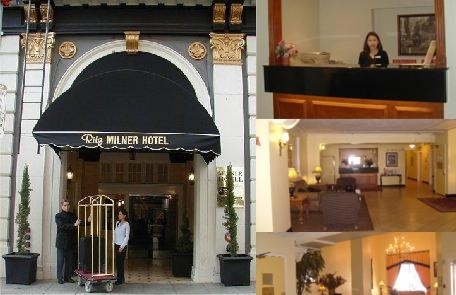 Boutique style hotel rcently refurbished conveniently located to the Los Angeles Convention Center. One block to the Metro Station for Red and Blue Line service. The hotel provides a complimentary American Style Breakfast and the restaurant is open for lunch and dinner. We provide a deluxe Continental Breakfast with make your own waffel, hot and cold cereal, danish, pastries, fresh fruit,yogurt and is complimentary.